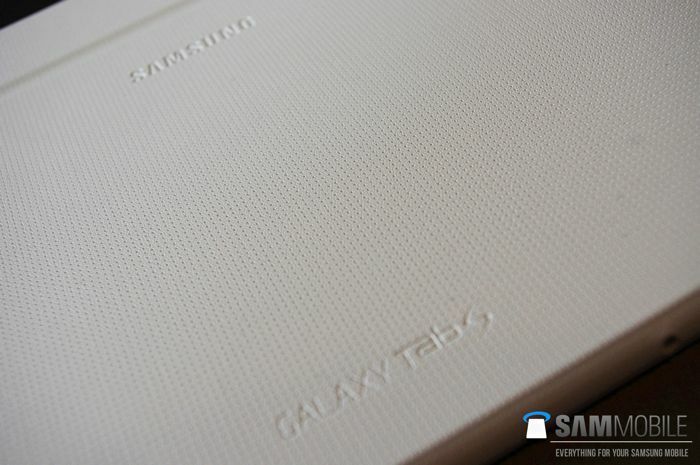 Not long now until Samsung takes the wraps of their new high end Android tablet, the Samsung Galaxy Tab S. The tablet will be made official at a press event tomorrow and it is expected to go on sale in the US this Friday the 13th of July. 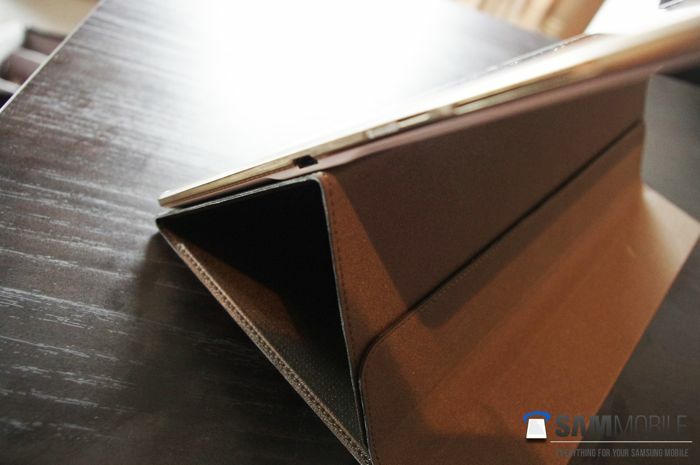 We have already showed you some press shots of the new Galaxy Tab S tablet, and now we have some actual photos of the device, along with some photos of the new accessories that Samsung will launch with the tablet. 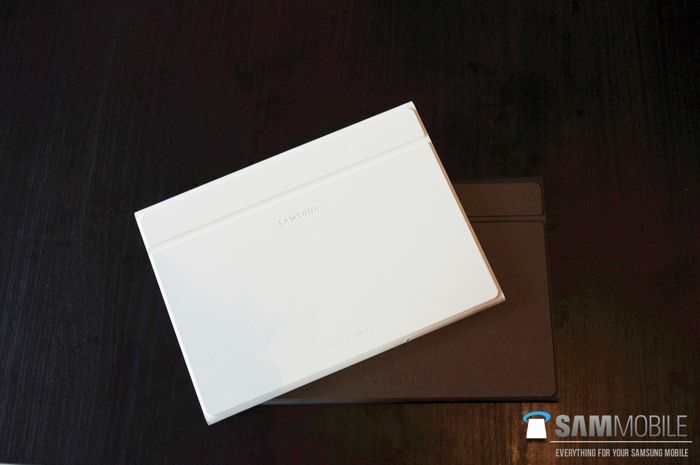 The guys over at Sammobile have managed to get their hands on some photos of the tablet, along with some of the flip covers that will be available for the Samsung Galaxy Tab S.
The Galaxy Tab S will come with two different display sizes, one with an 8.4 inch display, the other with a 10.5 inch display, both tablets have the same specifications apart from the different display sizes. The displays on the Galaxy Tab S are Super AMOLED displays and both come with a WQXGA resolution of 2560 x 1600 pixels, and processing is provide by an 8 core Samsung Exynos processor. The processor is a Samsung Exynos 5420, which is made up of four 1.9GHz Cortex A15 cores, and four 1.3GHz Cortex A7 cores, and it also features a 6 core ARM Mali-T628 GPU for graphics. 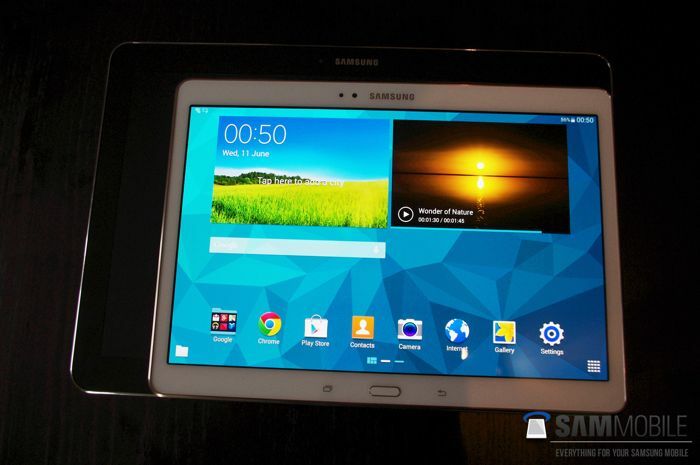 These new Samsung Galaxy Tab S tablets also come with 3GB of RAM, and are expected to feature 32GB of storage plus a microSD card slot for expansion. 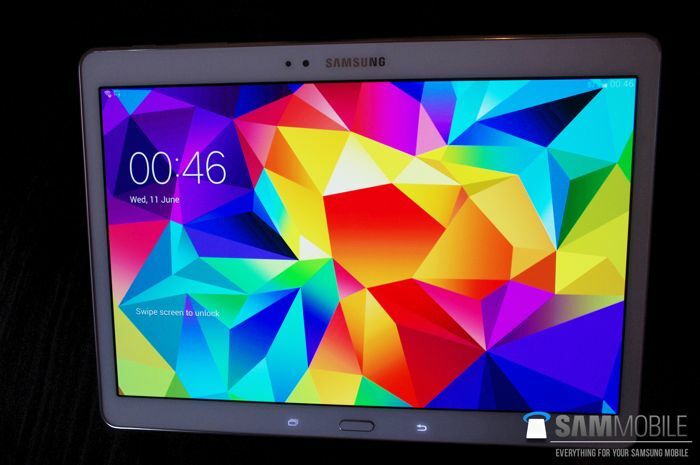 We also know that the new Samsung Galaxy Tab S will come with a front facing 2.1 megapixel camera and a rear facing 8 megapixel camera, plus Android 4.4 Kit Kat. 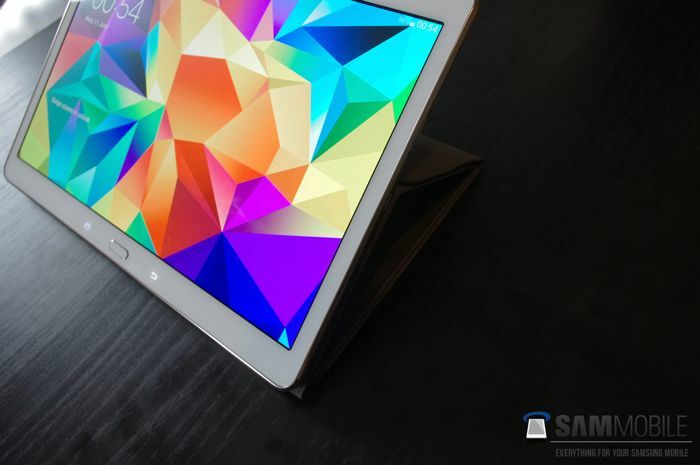 Samsung will make these new Samsung Galaxy Tab S tablets official tomorrow, from the specifications we have heard so far, they certainly sound impressive, and depending on how much they retail for, they could be a very popular range of tablets for Samsung.